Berrystead is the large house between Berry End and Tyrells End. In Victorian times, it ran with a large domestic household. 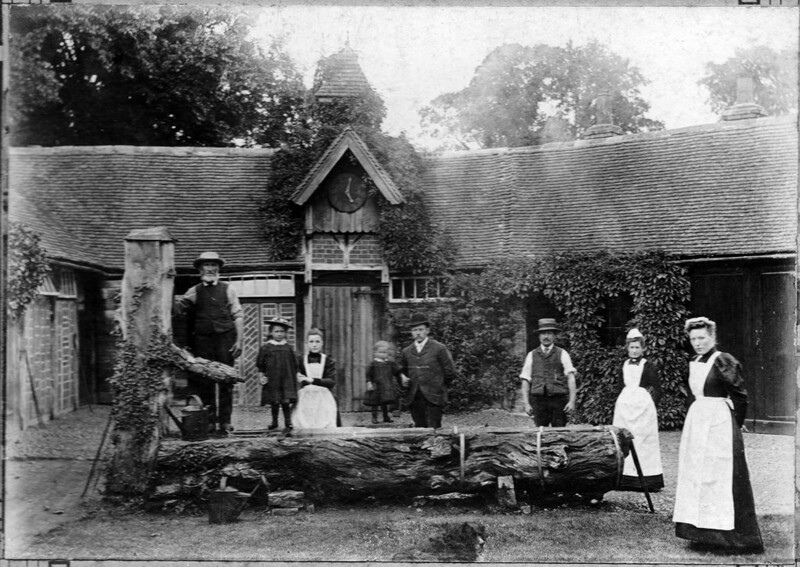 This image, contributed by Martin Woolhead, shows the stable block behind the main house, with some of the staff. The date is not know, but the time is a minute past 5pm! Click for a bigger version. The main feature of the yard is a tree trunk hollowed to make a horse trough, fed from a hand pump encased in a wood sheath. There are three women dressed as housemaids, three men and two children. Does anyone know who these people were? Leave a message below! I was looking at the ever growing Eversholt2 website the other day and came across the photograph contributed by Martin Woolhead and you asked if anyone could throw any light on it. I believe it to be early 1900’s, perhaps sometime between 1900 and 1910 judging by the maids’ uniforms. I did some research and they appear to be from this period. I also wonder whether the maid on the left could be Mary Taylor who was Edward Aveling Green’s model for the paintings in the church. She looks to be the right age and according to the 1911 census she was 24 and living at Berrystead as a maid. Wouldn’t it be great if that was indeed her. She looks to be a pretty girl and certainly potential to be the model for the paintings. She was certainly in service from the age of 14 years old (in the 1901 census she is 14, living in Church End with her mother and is a domestic servant). I have compared her face to those of the paintings but it really is hard to say whether it is definitely her but I do think it is possible. Well, is Venetia right? Click on the picture for a much bigger copy! May 31, at Berrystead, Eversholt, Bedfordshire, Frances Mary, wife of J. Green, and daughter of the late E. Tanqueray, rector of Tingrith, Beds, aged 72. Edward Aveling Green, who created much of the art in the church, lived at Berrystead. 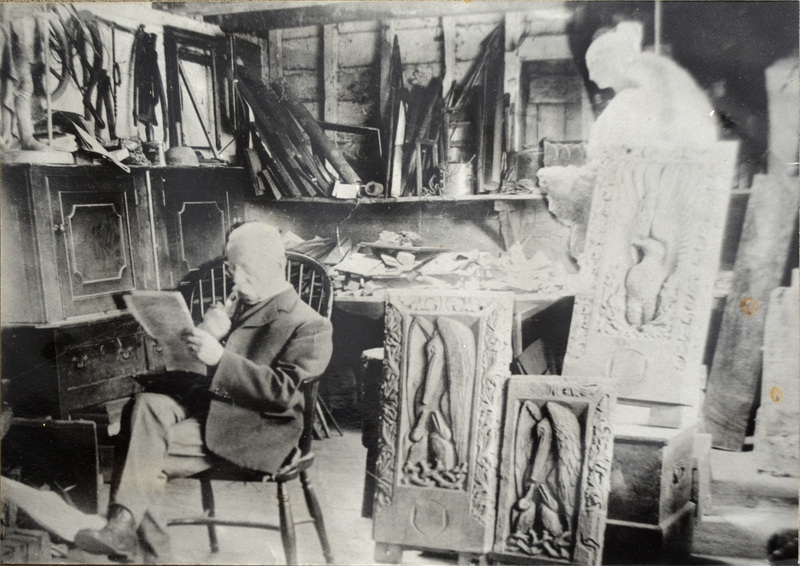 This picture of him in his workshop came from Anna Blomfield.